About a month ago, I was asking some of our wedding professionals to give their advice on how to be a good wedding guest. I got an overwhelming response and added all the the advice sent. I also started looking at each person who replied and checked out their websites and email signatures. I was making sure intersted brides and or grooms would be able to contact them easily from either source and sometimes it was almost impossible. However, Yessie Makeup & Styling had an excellent email signature and a very well done website. I was so into these Seattle wedding pros, Yessie and Blue Rose Photography (who was featured on her website) that I felt compelled to reach out to ask them to create something beautiful for us. So, they gathered an amazing team and knocked this beauty tutorial so far out of the park that I'm still looking for the ball. It's SO good. 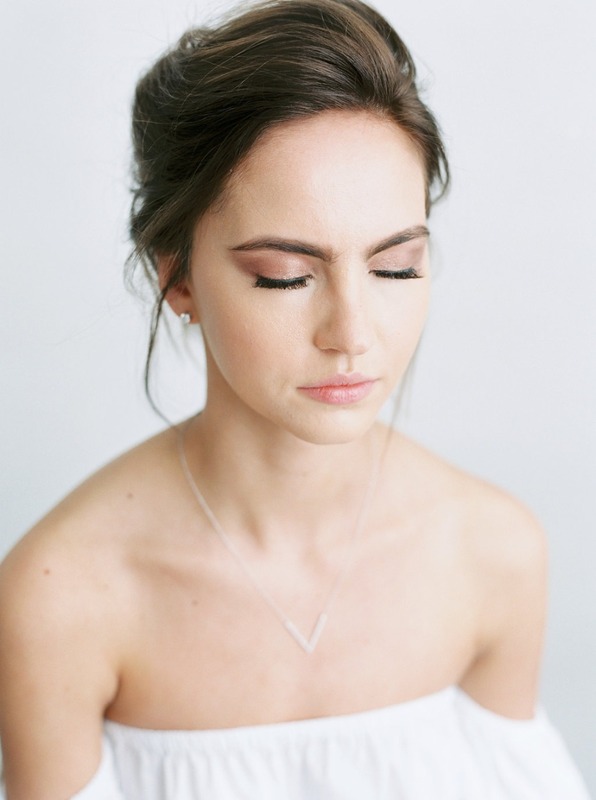 Yessie and Blue Rose Photography have created and photographed, respectively, two stunning bridal looks that could easily transition into an everyday look because it's just so natural. There's also a very special treat at the end so keep scrolling! Step 1. Cleanse your face with a gentle cleanser or makeup wipe. Step 2. Prep your skin by using your favorite serums, oils, or moisturizers. Step 3. Lightly apply foundation using a brush or sponge; blending outwards. Step 4. 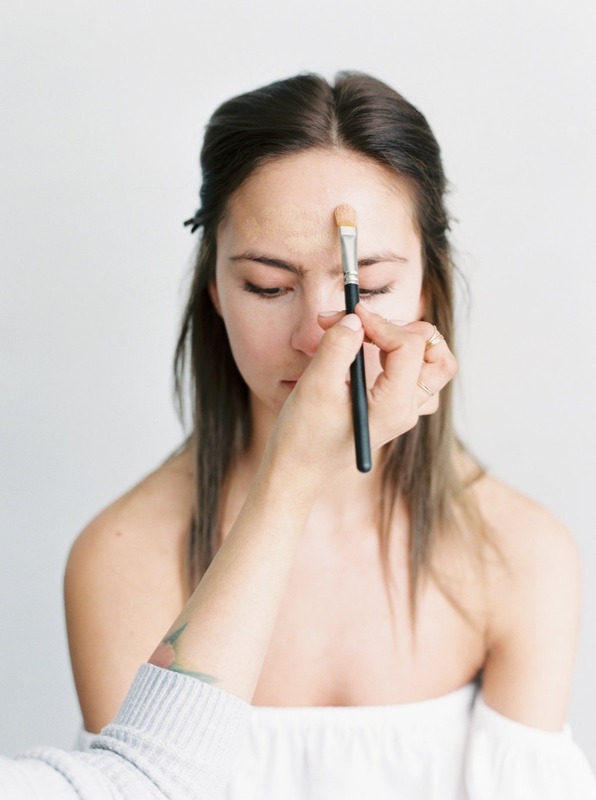 Apply concealer to the inner corner of your eye, continuing to blend outwards. Step 5. Lightly add a blush to the apples of your cheeks. Step 6. Set your foundation and concealer with a loose powder. Step 7. Apply bronzed shimmer shadow blending it in a circular motion to your crease. Step 8. 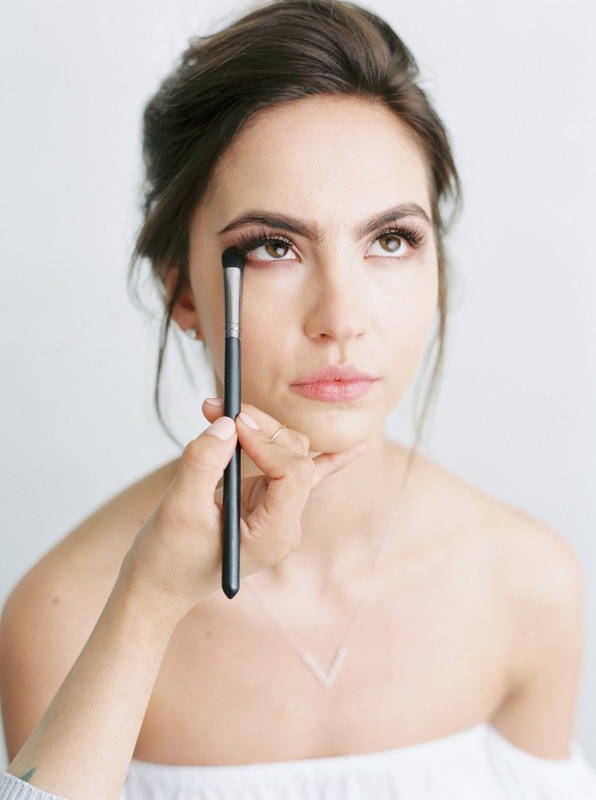 Shape your eyebrows lightly with a powder to enhance a natural look . Step 9. For a defined eye add some lashes and mascara. Step 10. Finish the look with applying your favorite moisturizing lipstick. Step 1. Separate your hair into three sections, putting the rest of your hair into a top knot. Step 2. Curl individual strands using a 1 ¼ curling iron in different directions. Step 3. Continue with step 2 on all sections of the hair . Step 4. To make sure the curls are secured lightly apply hairspray. Step 5. To achieve soft curls make sure to run your hands through your hair to get a tousled look. Step 1. Tease the top of your hair to add some volume. Step 2. Grab the top right half of your hair, pull it to the back, then twist the bottom, and secure with a bobby pin. Step 3. Grab the left side and repeat step two. Step 4. Grab the bottom half of your hair and turn it into a messy bun by twisting gently securing it with bobby pins. Step 5. Pin down any imperfections and loosen up a few hair strands to frame your face. Step 6. Add any hair pieces if you wish. Step 1. Add a brown shadow to the outer corner of the eye blending it into the crease. Step 2. using the same shadow lightly add some definition to your lower lash line. Step 3. Add some shimmer to the inner corner of your eye to brighten up the look. Step 4. Add some highlighter to define your cheekbones and collarbone.